Take a Word asked for BLACK, WHITE AND RED. Maybe it lacks a bit of black on my creation, but here it is! 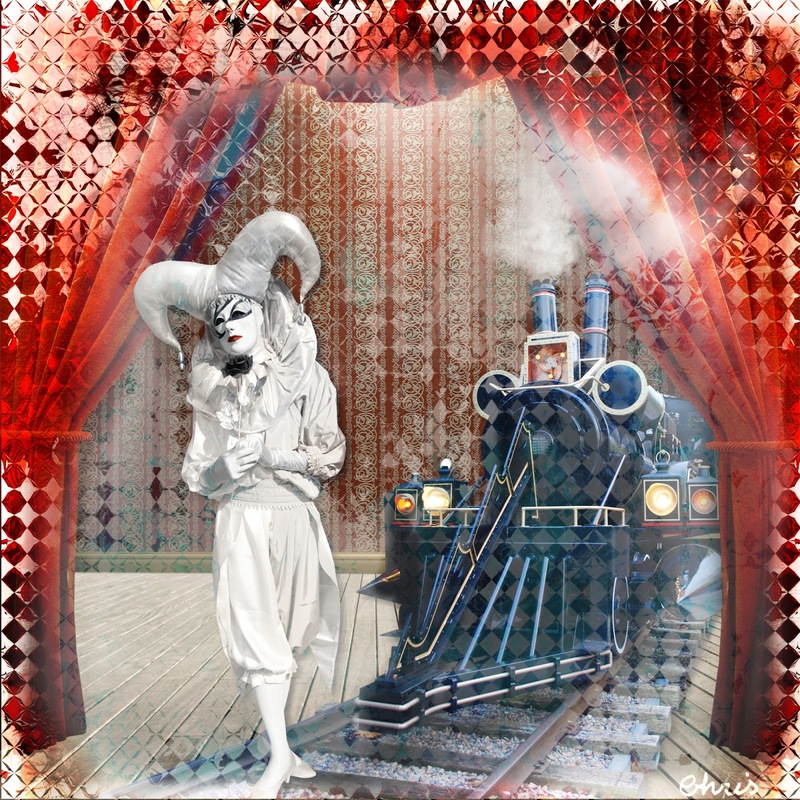 Background: Eenas Creations; train and Harlequin: Holliewood; overlay: Beth Rimmer. Oh Christine, this is gorgeous!! this is a wonderful collage, love the diamond pattern all over it! Christine your collage is so wonderfully made , love the train and the pattern background. I hope this train is in her dreams... Or yours, if you want to go there. Or, at least, I hope it's stopped. This collage is a bit frightening, awesome, so beautiful, and unique dear Chris! I love it. This deserves a big "WOW!" It is beautiful! What a delightful bit of surreal fantasy in black, white and red. Your imagination was running full tilt on this one, Chris. I love it! Oh it makes a great piece. I love it. A wow! Oh wow, what a splash of red, white and .... yes black. Love it.